Dubai: – Emirates has introduced another service to mitigate the inconvenience of the recent ban on electronic devices on board US-bound flights. Beginning today, First and Business Class passengers will be able to borrow tablets on board Emirates’ US-bound flights allowing them to continue working during their flight. 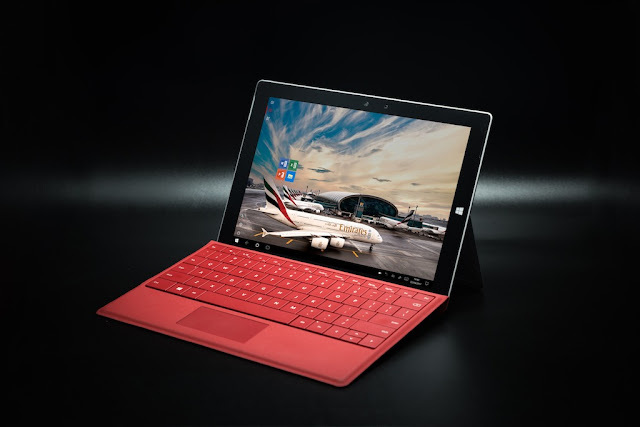 As part of this latest service, Emirates premium customers will have a Microsoft Surface tablets equipped with Microsoft Office 2016 available for loan on board. Customers can download their work on to a USB which can be brought on board and plugged into the devices to continue working seamlessly. Watch a video on how Emirates’ handling service works here.